Are you in need of a home inspection? At Stellar Inspections, our Buford home inspectors have the necessary training and certifications to excel in this field. We take the time to inspect and describe the exact condition of the house in order to provide each client with reliable, accurate reports. Standard home inspections consist of the roof, basement, HVAC, water heater, structure, plumbing and electrical systems. 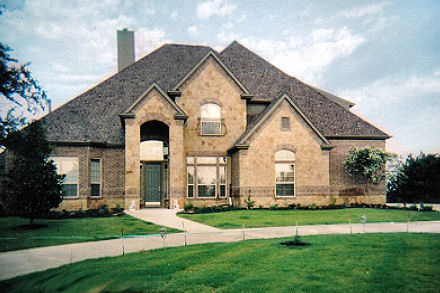 We take note of improper structures that require the repairing done and which ones will be the most expensive. Our reports also include safety, fire and maintenance issues. Pre-Listing and Resale Inspections: The seller of the home will hire Stellar Inspections to check the state of the house. We then create a report listing the condition of the home as well as the needed repairs. Framing and Foundation Inspections: When you schedule a framing or foundation inspection, your inspector will focus on the materials used to build the home as well as how they were built. Factors such as design, frame support, foundation cracks and causes as well as geology and soil are included in reports. New Construction Inspections: These serve as a final walk through for the homeowner. We will examine the house and make sure everything is safe, up to code and installed correctly. We make note of any defects that need to be fixed. Having served the Buford, Georgia area for years, Stellar Inspections wants to be your local home inspector. We have gained the trust of numerous homeowners and have earned a reputation for providing detailed home inspections in Buford, GA. With our licenses, certifications, real estate experience and customer service, you can rest assured that you are going to receive exceptional inspections. Buford is considered to be one of Georgia’s best cities to live in and offers a variety of attractions including parks, Lake Lanier and the Gwinnett Environmental and Heritage Center. The city is also home to the largest mall in the state, The Mall of Georgia.